I was able to snag a piece of the Snow White Make-up collection from Besame back in July. I purchased the Eye Shadow Palette that comes in a replica of the original book that intros the Snow White animated feature from 1937. I knew I had to have it, even though I am not a huge eye shadow fan, but it was SNOW WHITE and it was a book. I am a librarian, so of course it was right up my alley. I posted a review on YouTube right after I brought it home and there was mixed reviews on the quality. I personally like how the colors are soft and really are true to the colors used in the film. The colors were actually matched to original ink from the film. If you have ever watched the film, the colors are very jewel toned, natural and not at all vibrant. The eye shadows are perfect for me...someone who isn't into drastic colors on my eyelids. Maybe for a photo shoot or a bounding ensemble, but not for everyday looks. Personally, I don't prefer Besame's lipsticks because they bleed. You can grab a piece of the collection through Besame's website. 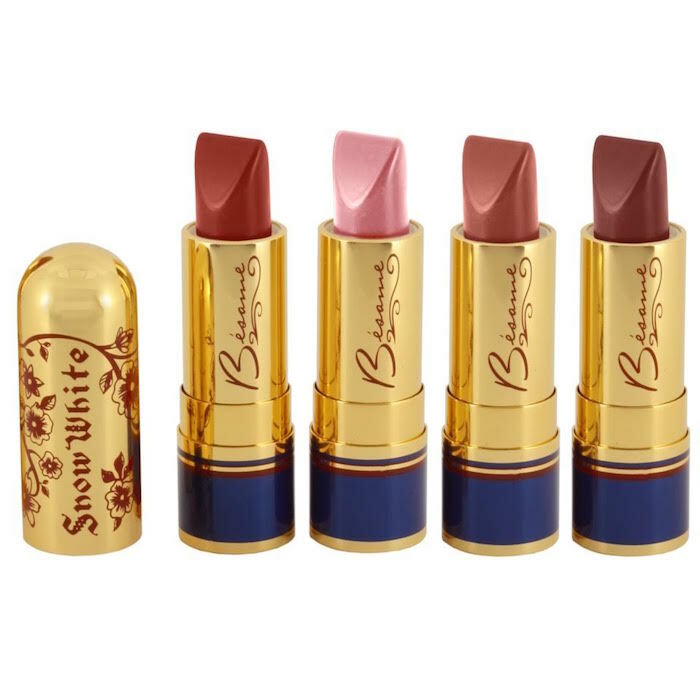 They also now carry a Snow White themed mirror, lipsticks, blushes and so much more!